A tilted plane texture test for the lava in the Six Beasties project. 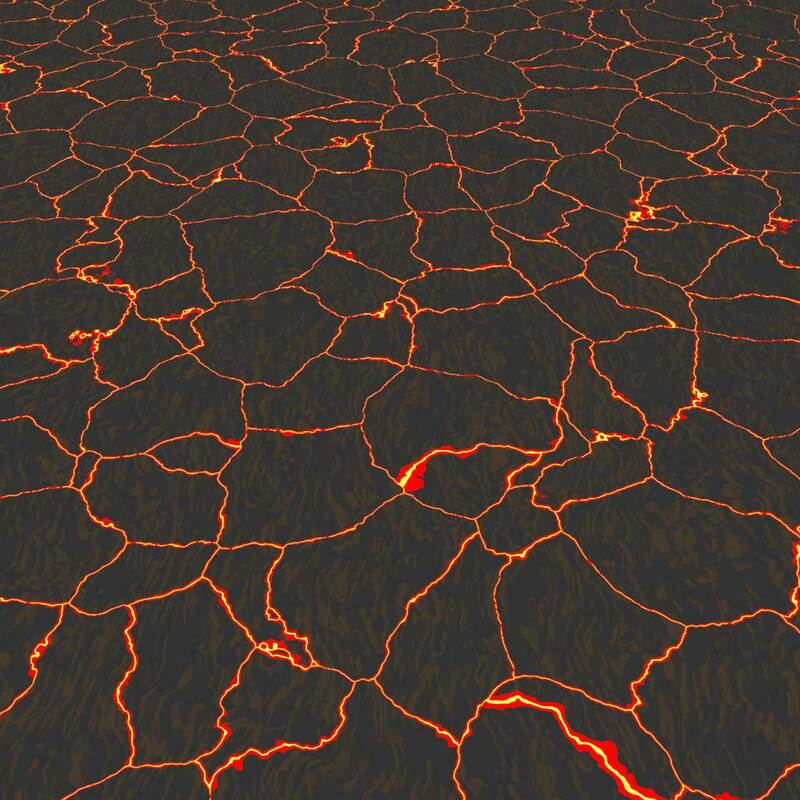 The lava appeared as the distant ground in some of the rendered illustrations, and also as a motif in the project’s web pages. The texture was generated using POV-Ray’s “crackle” pattern (on colour and normal maps) with a pinch of turbulence. Six Beasties was a Beholder project I did a lot of work on in 1997-9, and which never went live.